Flower Power – Sara K.
I have been such a dress girl lately, still got a number of dresses I’d like to wear before Summer is over … hopefully I’ll get the chance and share some pictures on here. How pretty is this dress? 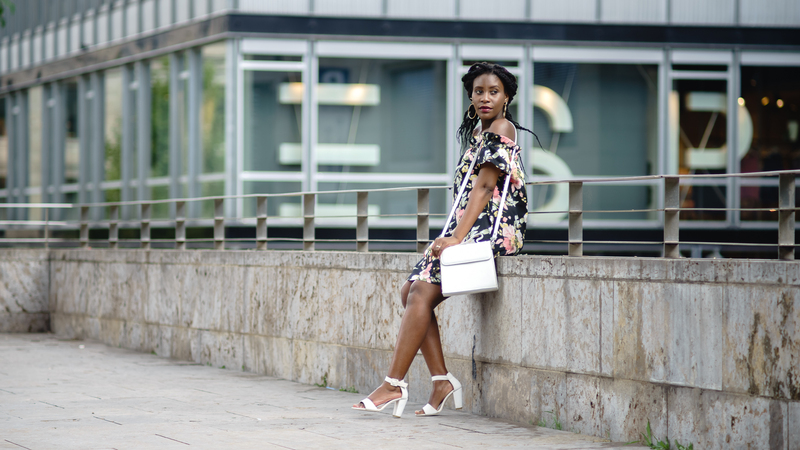 It’s got everything going on; off the shoulders, so lightweight, bold print of the flowers and so airy. It is really a dress you wear with ease and takes you seconds to get ready and leave the house..my kind of outfit :). 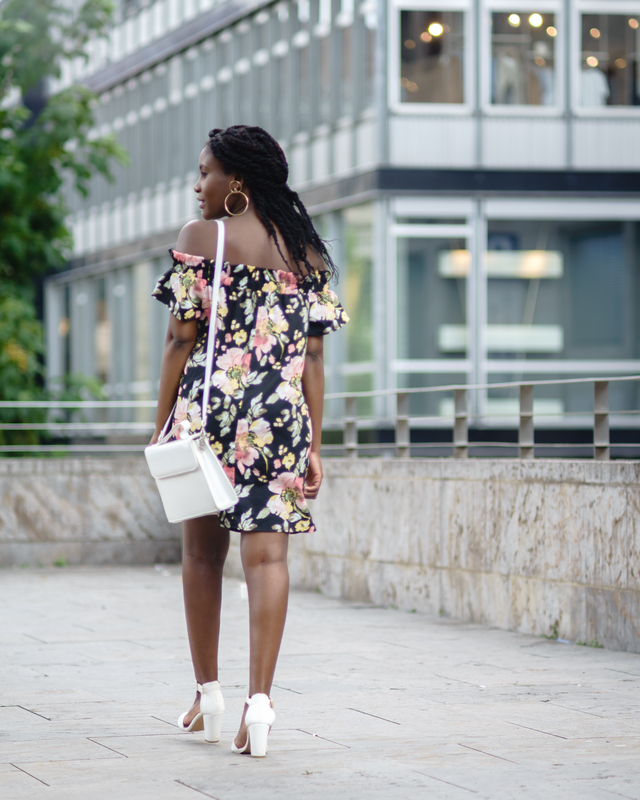 I added some simple sandals, a cute small bag and some accessories, which elevated this look and with lots of confidence painted the town flowery lol.